In a move to boost the number of college graduates in Inland Southern California, the San Bernardino Community College District Board of Trustees voted to make a historic investment of $10 million to begin exploring a two-year tuition-free program at Crafton Hills College and San Bernardino Valley College. The unanimous vote, held on October 13, aims to help hard-working high school graduates earn career training certificates or start the first half of their bachelor’s degree at no cost. 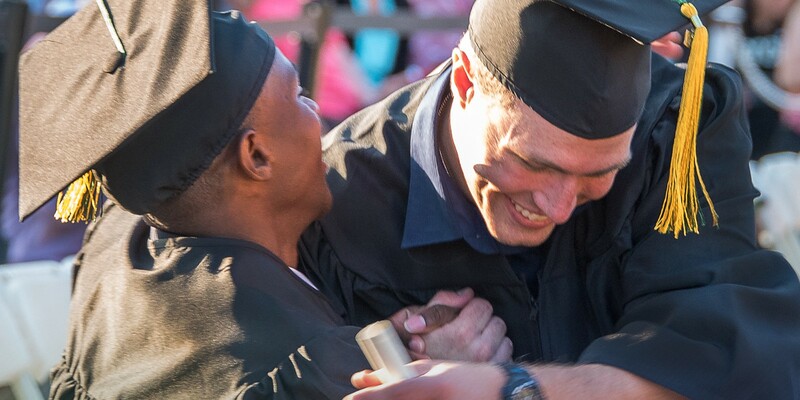 By mobilizing existing financial aid programs and SBCCD funding sources, college officials estimate that 1,000 local high school graduates could benefit. While the student eligibility requirements are yet to be structured, SBCCD’s two-year tuition-free program would explore a cradle-to-career approach to guide students and families early in their academic career to prepare for college. “The success of this initiative will depend on all of us doing our part — college faculty and staff, K-12 educators, families, and community members — working together to lift up the next generation,” said Chancellor Bruce Baron. According to the Public Policy Institute of California’s report, “Meeting California’s need for college graduates,” Inland Southern California plays a critical role in closing the statewide skills gap. PPIC has estimated that the state will need 1.1 million more college-educated workers by 2030 to keep up with economic demand. Despite having high school graduation rates higher than the statewide average, Inland Southern California fares particularly poorly with respect to college enrollment, according to the PPIC report. “Removing financial barriers for students and families is key to promoting a college-going culture in our community,” said San Bernardino Valley College President Diana Z. Rodriguez. Crafton Hills College Interim President Audre Levy agrees. “Though we are in the very early stages, the building blocks of our efforts will be college affordability, college access, and college success,” Levy said.